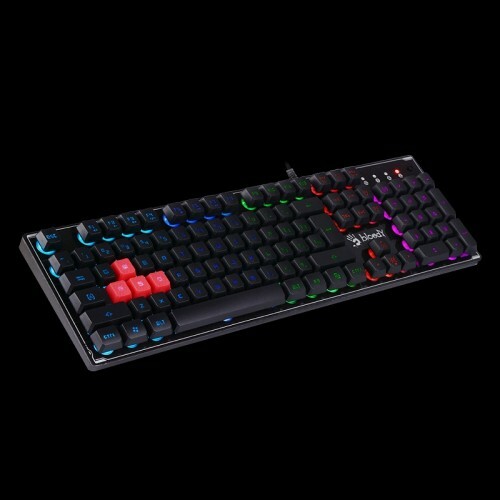 A4Tech's Bloody is the Ultimate Gaming Gear that comprising of 16.8 M Colors, 5-Zone customizable RGB & 7 lighting mode to provide precision and advantage to conquer with confidence of the gamer. 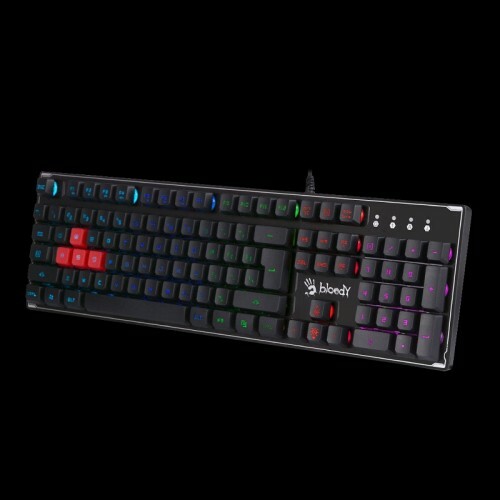 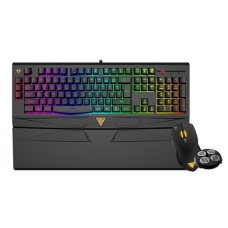 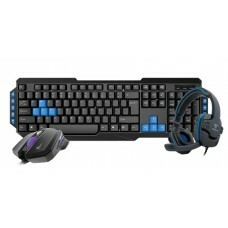 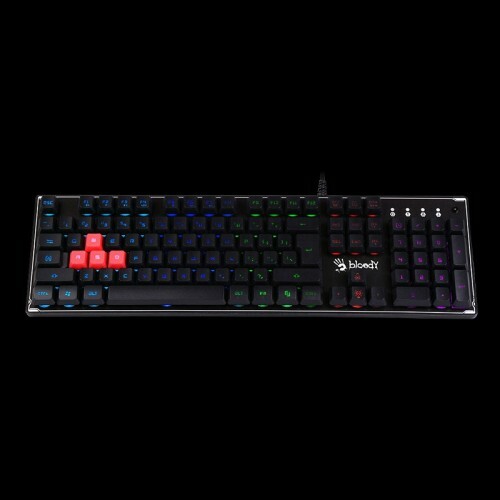 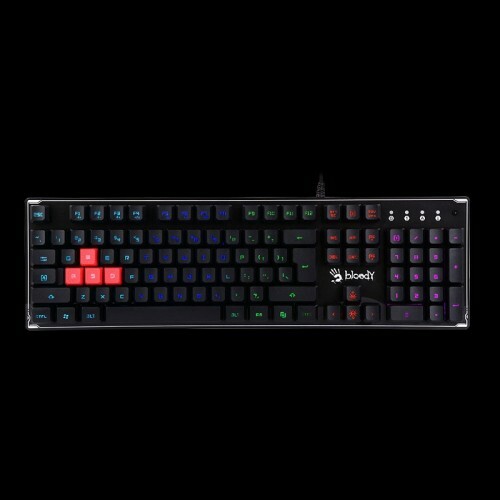 This amazingly designed device has 4 Silincon Coated Keys, Screw Enhanced Space-Bar with fully customizable RGB & Plug and Play 5 RGB Lighting Effects that pre-configured with 5 animated lighting modes. 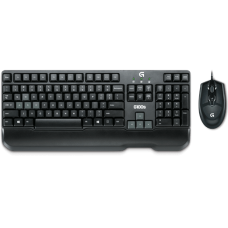 The advanced key design such slanted keaycap design lowers the probability of accidental-click. 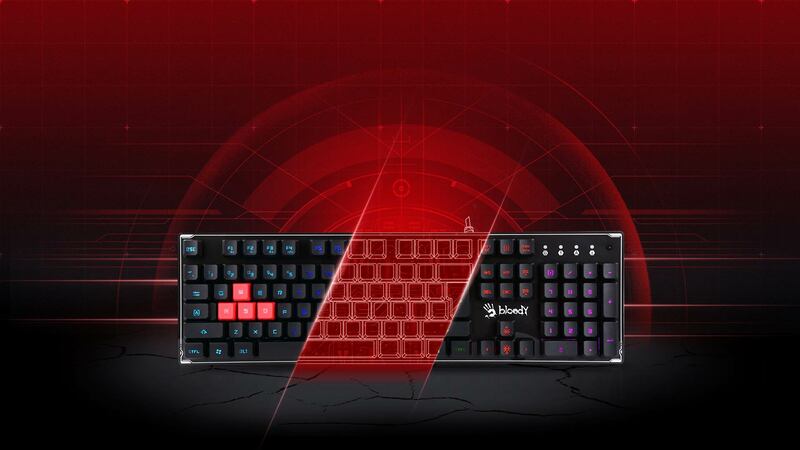 The gaming mode will disable "Window" keys to avoid interruption during the game session. 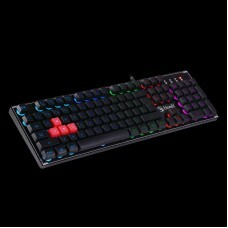 In addition it has Anti-slippery silicon lift & Double Secure Spill-Resistant for ensuring slipping and water spill.